Wigan Council: “Delivery of Support at Home and Mobile Response Service”. Wigan is seeking TECS to support Borough residents in home-based independent living and in Managed Accommodation developments. The objective is to reduce the local burden of unnecessary hospital admissions, on emergency services, and to reassure families and carers about the person’s wellbeing. The contract is for 60 months and is valued at £2,375,000. Closing is 27 October at 10:15am. More information on TED. Salford Royal NHS Foundation Trust: “Provision of a Digital Control Centre”. Salford Royal will be the test bed for this Control Centre to potentially scale to the rest of the NHS. The Control Centre will use the latest advances in “data analytics and digital health to achieve a world-leading organisation which has operational excellence, the best quality healthcare and patient experience across the entire organization which also includes social care.” The five-year agreement starts August 2018 and is budgeted at £2.0m – £3.0m. More information on Gov.UK. National Institute for Health and Care Excellence (NICE) in Manchester: This is for the NICE External Assessment Centre Framework, to provide a range of health technology assessment services to support its technology evaluation programmes and related activities. It is in four lots: secondary data analysis, primary data analysis, technical and regulatory support, decision support. The contract is for 33 months from award and total value is in the range of £1-6m. Deadline is 20 November at 5pm. More information on TED. Deadline is 5pm on Friday 20 October. More information on Gov.UK. To respond to a recent contract Our Mobile Health needs to expand its pool of paid expert app reviewers. Applicants should be proficient health app users, professionally qualified, articulate and able to assess academic papers that justify app effectiveness. Reviews are done remotely (though reviewers must use the English version of apps) and offer an opportunity for reviewers to position themselves as digital health pioneers. Apply here. Midsummer’s DHACA Day is at the Digital Catapult Centre, Euston Road, London on 21st June. It is aimed very much at digital health developers, with presentations on IP, new business opportunities, the new medical devices and data protection legislation and much more. DHACA membership remains free; entry to the event, which starts at 10 am for 10.30 am, is just the cost of lunch. Book here. NICE is launching a new evidence tool for “medtech product developers” on 3rd July at the Royal Society of Obstetricians and Gynaecologists, 27 Sussex Place, London. Attendance is free though expect it to sell out soon! Book here. The next Health Technology Forum meeting near Bank tube in London is on 5th July at 6.15 pm for 6.30 pm, starting with Giovanna Forte’s epic story of how to sell to the NHS – it’s really not to be missed! There’s also an important digital health dimension as she is looking for a partner to develop her innovation into an integrated service. This is followed by a talk on using digital health to provide acute paediatric care remotely. It’s free to attend though, if you book here, do please come along as otherwise it messes up our host Baker Botts’ kind and generous hospitality arrangements. The Accelerated Access Review is published today. Readers with long memories will recall that it kicked off in the Spring of 2015 aimed at accelerating the uptake of innovation in to the NHS. It had three technical streams – pharma, medtech & digital health, plus a patient stream. This editor, as Managing Director of DHACA, was the digital health champion. NHS England, working with NHS Digital, should develop a generic framework for app prescription. 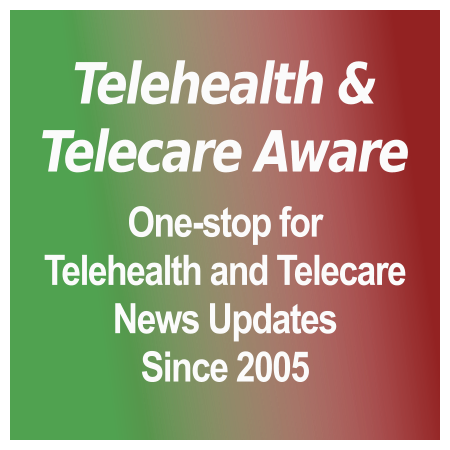 [grow_thumb image=”http://telecareaware.com/wp-content/uploads/2016/02/AAR-logo.jpg” thumb_width=”200″ /]The Accelerated Access Review (AAR) aims to speed up access by NHS patients to innovative medicines, medtech and diagnostics, and digital health. Of these, digital health is the newest, and because it enables care to be delivered in a far more efficient and patient-centric way, offers great hope for the future of improved patient outcomes and controlled costs. As someone outside government who was drawn into the digital health stream of the AAR, this blog aims to capture key learnings from the experience. The initial list of obstacles to innovation in the NHS was depressingly long, until carefully differentiated. Top of the pile were items like the NHS’s asymmetric attitude to risk – successful innovations are forgotten, unsuccessful innovations are a life sentence for those involved – which are soluble only by those at the very top. The Royal Society of Medicine has two unbeatable benefits to offer conference attendees: virtually every world expert is keen to present there and, because it is a medical education charity, charges are heavily subsidised. As a result you get the most bang for your buck of any independent digital health event, anywhere! And just now the offer is even more attractive as if you book for all three in the next 14 days (ie by 12th February) the RSM will give you a 10% discount on all three! On February 25th, the RSM is holding their first 2016 conference: Recent developments in digital health. This is the fourth time they have run this popular event which aims to update attendees about particularly important new digital heath advances. For me the highlight will be Chris Elliott of Leman Micro who plans to demonstrate working smartphones that can measure all the key vital signs apart from weight without any peripheral – that includes systolic & diastolic blood pressure, as well as one-lead ECG, pulse, respiration rate and temperature. When these devices are widely available, they will dramatically affect health care delivery worldwide – particularly self-care – dramatically. See it first at the RSM! I’d also highlight speakers such as Beverley Bryant, Director of Digital Technology NHS England, Mustafa Suleyman, Head of Applied Artificial Intelligence at Google DeepMind (who’ll hopefully tell us a bit about introducing deep learning in to Babylon), Prof Tony Young, National Clinical Director for Innovation, NHS England and Dr Ameet Bakhai, Royal Free London NHS Foundation Trust. It’s going to be a brilliant day! Trying at least temporarily to distract this editor’s attention from his recent unfortunate experience with Jawbone technology, here are some interesting app and wearables snippets received over the summer. We begin with news of the first CE certified mole checking app, SkinVision which rates moles using a simple traffic light system (using a red, orange or green risk rating). The app lets users store photos in multiple folders so they can track different moles over time. It aims to detect changing moles (color, size, symmetry etc.) that are a clear sign that something is wrong and that the person should visit a doctor immediately. The European Parliament has produced an extremely useful compendium of articles and statistics on the silver economy: well worth reading (or at least bookmarking for writing that next EIP AHA project proposal). If like me, use of the ‘Euro’ prefix always brings to mind the Eurosausage episode of Yes Minister, prepare to be pleasantly surprised by this new online database of digital services for carers of older people jointly produced by Eurocarers and the EC’s Joint Research Centre, and hosted by Eurocarers. This offers access to 78 good practices of digital services for older care at home. 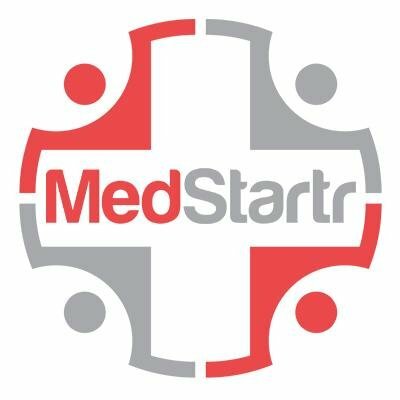 The next RSM event, entitled “Mainstreaming medical apps; reducing NHS costs; improving patient outcomes” is on 9th April, where there are still a few spaces left. This one-day conference will build on the last two years’ sell-out one-day conferences on medical apps at the RSM. This year as medical apps are coming of age, the focus is on the critical aspects of mainstreaming them, in particular the various UK and EU regulatory issues that need managing in order to enable apps to be recommended or prescribed with confidence by clinicians. This will also include examples of ground- breaking medical apps as well as the use of electronic games to promote health and wellbeing. Speakers on the regulatory side include, from the UK Professor Gillian Leng, Deputy Chief Executive of NICE, and Jo Hagan-Brown & Dr Neil McGuire from the MHRA, and from the European Commission Pēteris Zilgalvis, Head of Unit for Health and Well-being. Julian Hitchcock from lawyers Lawford Davies Denoon will give another of his excellent talks summarising the regulatory position from a user’s point of view, Dr Richard Brady will update us on bad apps and Julie Bretland will describe progress on the National Information Board’s work on how best to evaluate medical apps. From the patient perspective, Alex Wyke will be talking about developing guidelines for good practice in health apps and Dr Tom Lewis from Warwick (in place of Prof Jeremy Wyatt now sadly unable to attend) will be talking about how best to evidence benefits from apps. Describing some novel apps will be Professor Ray Meddis, on how to make an iPhone a hearing aid, Professor Susan Michie from UCL on gamification of smoking cessation, Ileana Welte from big White Wall on why mental health is such fertile ground for apps, and Ian Hay describing the challenges of using Android apps to deliver artificial pancreas-like functionality for the GSMA Brussels to Barcelona bike ride. Should be a great day, and at the RSM’s rates, a tiny fraction of the cost of a commercially-run event! For £50/table, the RSM is also offering SMEs the opportunity to demonstrate their medical apps to the professional audience during refreshment breaks and at lunch (for more information on this offer contact Charlotte on 0207 290 3942). There are just four tables left now. This is a plea for any reader interested in the future success of medical apps in the UK to take a few minutes over Christmas to respond to a consultation request from the National Institute for Health & Care Excellence (NICE), which this editor has just been made aware of. The triennial consultation on the role of NICE opened in early December and closes on 2nd January – a very short time-frame as it covers the Christmas period! Details are here. There is a form to download so it is not a challenging task to respond. Many readers will be aware of this editor’s campaign following extensive research, to widen the remit of NICE to include reviewing the efficacy of medical apps. This is so that doctors can confidently recommend and indeed prescribe (NICE approved) medical apps without fear of liability, in the same way that they currently do for drugs. In addition, when discussing treatments with patients, doctors can then compare the efficacy of apps and of drugs for those conditions – such as depression, anxiety and pain relief – where apps can likely do the job better, at lower cost, with no side-effects. At a stroke this would reduce the cost of drugs to the NHS and take the UK to the forefront of the mobile health revolution. If you can spare the time over Christmas you would give one person a very Happy Christmas; many thanks in anticipation.